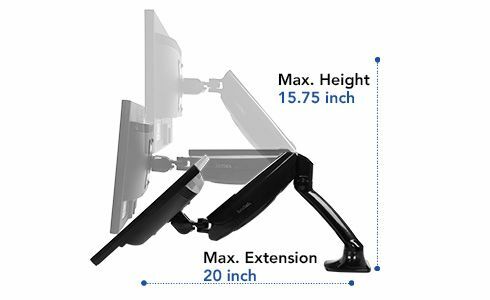 Design supports monitors up to 36″ wide and up to 26.4 lbs. 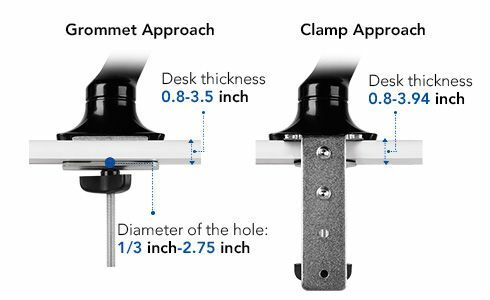 Quick release VESA plate makes monitor installation and removal fast and easy; And 360° rotation between portrait and landscape. Streamlined design, aircraft-grade aluminum arms are finished with a stylish anti-scratch surface. 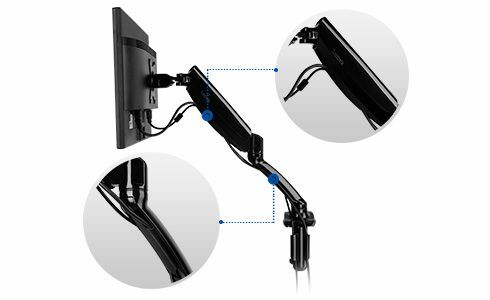 Patented free-installation clamp, ideal for a variety of thick desktops Gas spring hovering system gracefully adjusts monitor height. 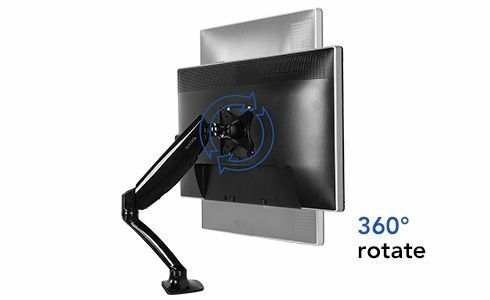 Cable management system organizes wires for a tidy desk 360° horizontal arm rotation(180° in each direction); Tilt and swivel your monitor in any direction; Extend or retract monitor arm. Effortlessly share your screen with co-workers; reduce glare with a simple adjustment.